This weeks photos were taken on Saturday which was the day of my sister in laws wedding. 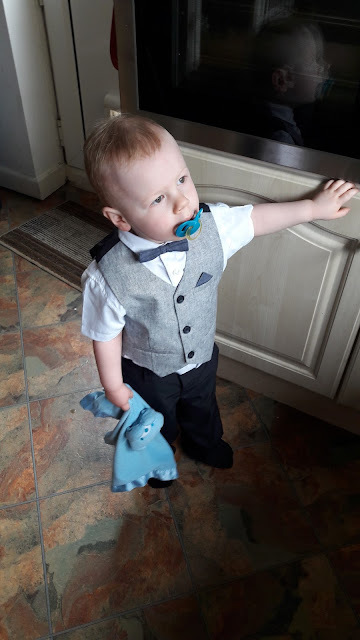 Little man was all dressed up in a little suit we had purchased for him and was looking very smart in his waist coat and bow tie. Blake had lots of fun once at the reception as he was able to run around and not be confined in the buggy. 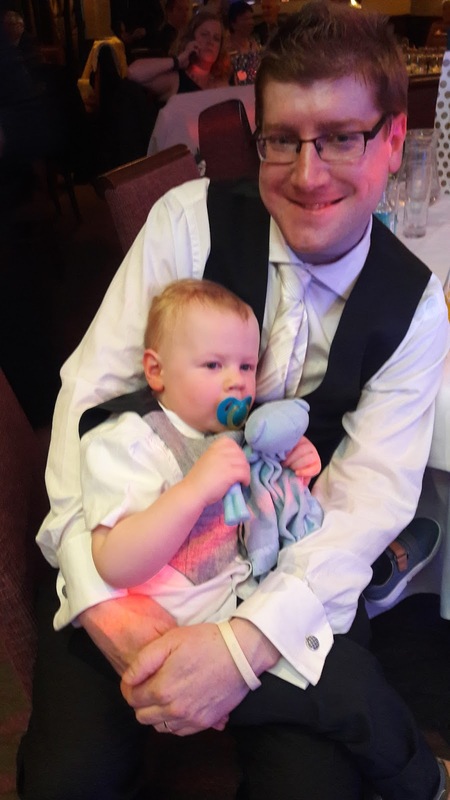 The second photo is of Stuart with Blake having cuddles as he was starting to feel tired and was past his usual bedtime.